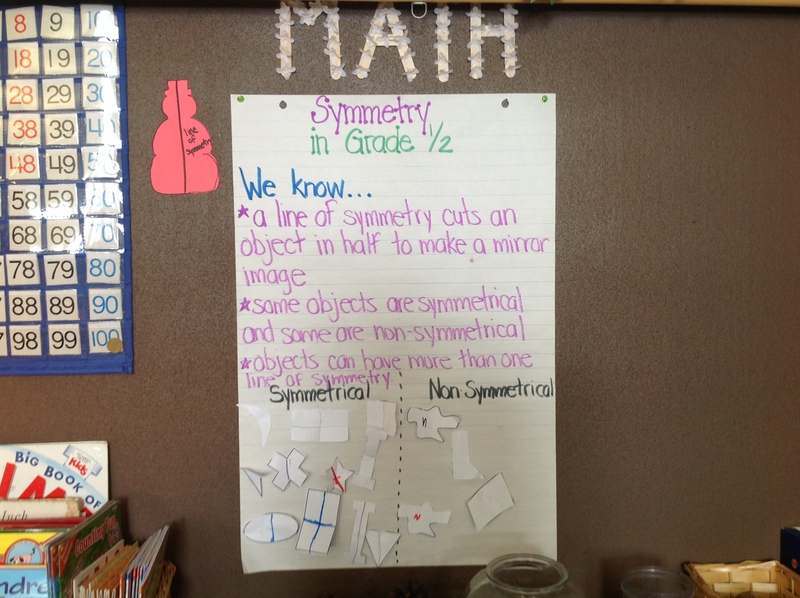 In math, we have been exploring symmetry in different objects, people and shapes. 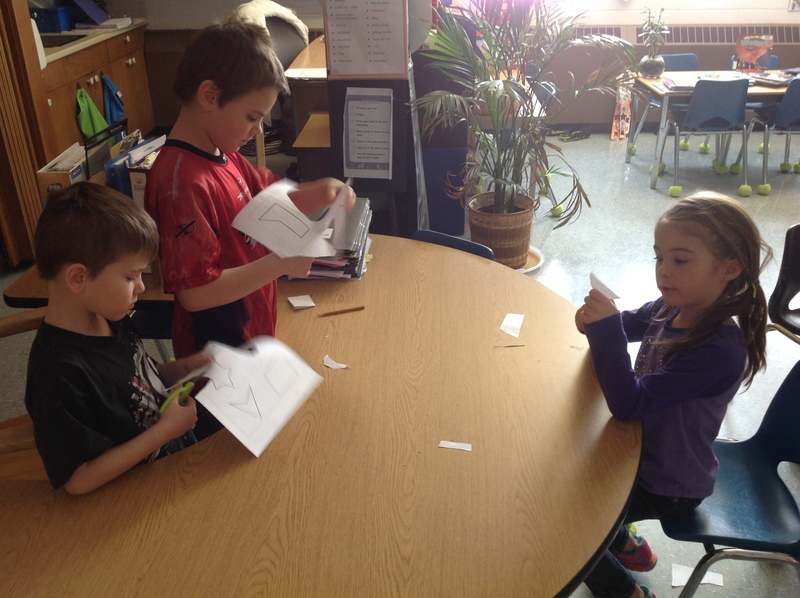 Today, we cut out shapes in groups & collaborated about determining a line of symmetry by folding the paper to see if the objects were the same on both sides. We used some good debating skills to respectfully agree or disagree, with support, about our decisions. 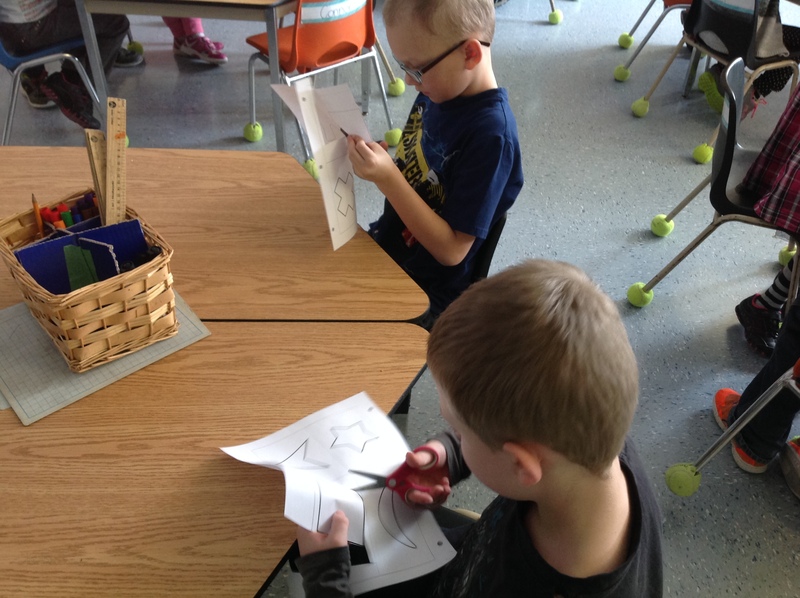 We consolidated our learning by comparing our results to the other groups, then shared our learning as a class. Watch for our symmetrical twin to be posted on our blogs soon! !